CRC’s Hayden Ludwig dives deep into the world of donor-advised funds—commonly referred to as DAFs. These charitable savings accounts allow donors to build philanthropic nest eggs and make grants just like marquee charitable foundations. But all donor-advised funds are not created equal. Learn about what happens when conservative donors lose control of their funds here. The Southern Poverty Law Center and its allies used the election of President Trump to spin a narrative about “hate crimes” and so-called “hate incidents.” These propaganda pieces are full of anecdotes and shoddy research, but the mainstream media continues to perpetuate false stories about “hate crime” on the rise. Read more in Organization Trends. Resettling refugees in America is a noble humanitarian cause. But for nominally religious nonprofit organizations, resettling refugees appears to provide access to a lot of tax dollars. 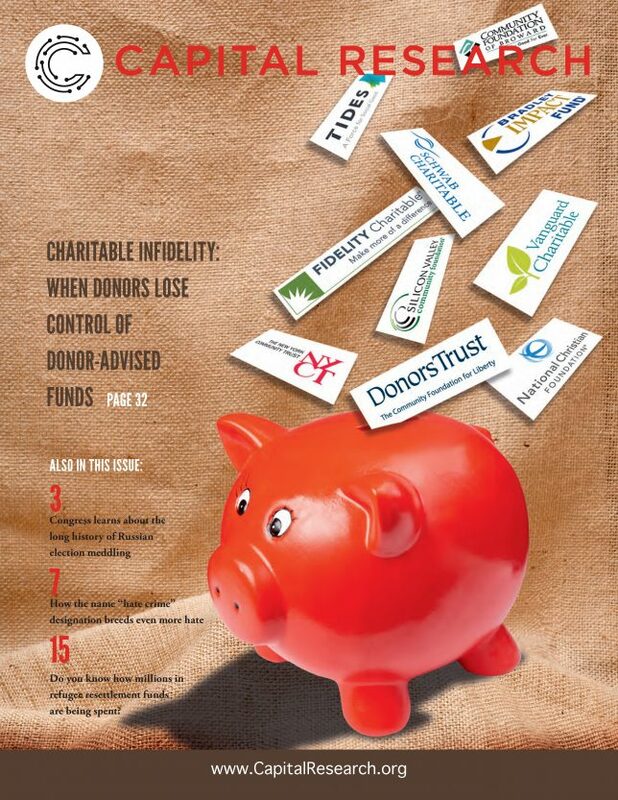 There is shockingly little transparency or accountability for these nonprofits’ operations. Read the first part of an in-depth investigation here.